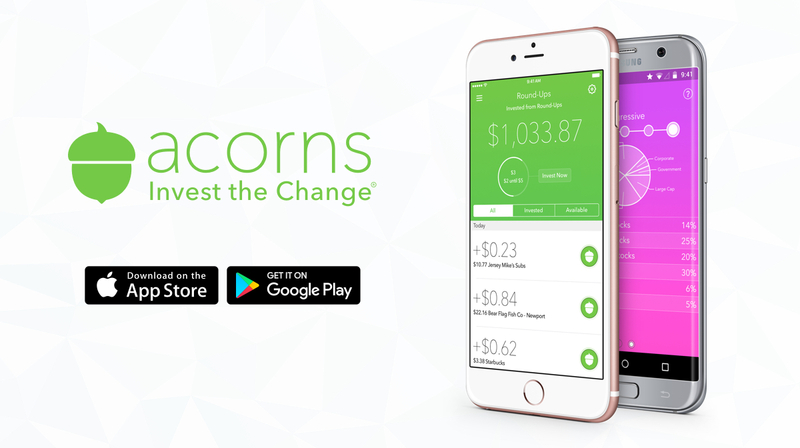 Acorns is a cool little iOS and Android App that connects to your bank account and uses “Round-Ups” to invest money. Basically if you make a purchase of, for example, $4.98 cents, it will then hold the remaining $0.02, rounding it to $5, and using that to make an investment. One of the things I liked about Acorns was that it was really a “set it and forget it” style of investing, you set it up, it monitors your transactions and rounds up your change, then once it reaches $5 or more, makes an automatic deposit into your investing account. You don’t really have to put any thought into it, or any active actions to make it work, once it is set up, it just goes until you stop it. This is great for the audience that I believe it to be targeted to, which is essentially people who don’t have the knowledge (or patience) for selecting their own stocks, but don’t quite need the hand holding that comes with having your own advisor manage your investments for you. This makes it a super easy way for people who know they should be investing money, but aren’t, to start dipping their toes into the water. The issue however, is that when you are trying to compete with the sort of automated online/cloud based investing.. the fees just aren’t up to par. With Acorns you pay $1 a Month + 0.5% (Up to $5k, then it drops to 0.25%). I used this for a few days and found from my own personal use it was averaging about $3 a day in Round-Ups. If we took that $3 x 30.5 days a month we would be given a monthly investment of $91.50. Now if we just stopped investing here, and let the money sit.. with a market average annual return of 7% a year, our $91.50 would have an annual growth of $6.40, but the fee on it would be nearly $20. When you look at online investment options, the novelty of the ‘Round-Ups’ is quickly washed aside by the fact that fees are so dramatically higher than their competitors, and will be sitting there slowly eating away at your investments. Have you used Acorns? What do you think?